Amazon's live-action adaptation of The Boys just found another one of its key players. 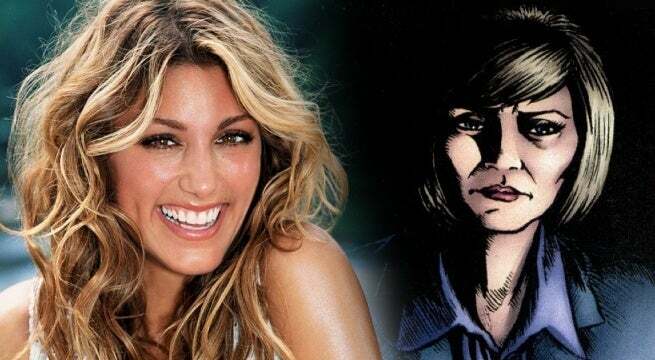 According to a new report from Deadline, Jennifer Esposito has been cast as CIA agent Susan Raynor in five episodes of the upcoming television series. In the comics, Raynor plays a very specific role, despising the show's titular group while simultaneously engaging in a sexual relationship with its leader, Billy Butcher (Karl Urban). Esposito's filmography includes appearances in Mistresses, NCIS, The Affair, and Blue Bloods. The Boys is set in a world where superheroes embrace the darker side of their massive celebrity and fame. It revolves around a group of vigilantes known informally as “the Boys” who set out to take down corrupt superheroes with no more than blue-collar grit and a willingness to fight dirty. Joining Urban in the cast are Jack Quaid, Laz Alonso, Karen Fukuhara, and Tomer Capon. The Boys is based on the Dynamite Entertainment series of the same name, which is created by Preacher creator Garth Ennis and Darick Robertson. The television adaptation will be created by Rogen, Goldberg, and Supernatural and Timeless alum Eric Kripke, with the pilot episode directed by 10 Cloverfield Lane's Dan Trachtenberg. The cast of The Boys will also include Elisabeth Shue as Madelyn Sitwell, Erin Moriarty as Starlight, a character tied to the superhero group The Seven, alongside Antony Starr as Homelander, Dominique McElligott as Queen Maeve, Jesse T. User as A-Train, Chase Crawford as The Deep, and Nathan Mitchell as Black Noir. A live-action take on the comic book series has been in development for a long time. Adam McKay, who directed Anchorman and The Big Short, first developed a film adaptation of The Boys in 2010 and shopped it around from Columbia to Paramount. But the project needed to find the right place in terms of budget, and it appears to have finally found its place for television audiences, partially with the help of Preacher. Are you excited to see Capon join The Boys? Let us know what you think in the comments below. The Boys is set to begin production soon, and will be released sometime in 2019 on Amazon.